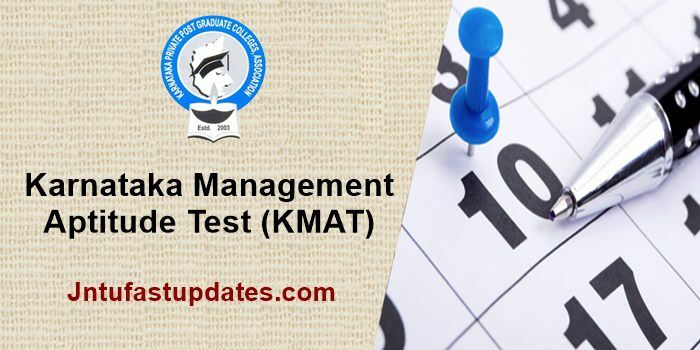 KMAT Answer Key 2018 Download: Karnataka Management Aptitude Test (KMAT) entrance test was successfully held by Karnataka Private Post Graduate Colleges Association (KPPGCA) on 5th August. Lakhs of aspirants seeking to get admission in management courses in the state of Karnataka have competed for the KMAT 2018. Hopefuls can analyze the score by comparing with the corresponding set they have attempted in the examination. The KMAT Official answer key PDF will be accessible to download within a few days after the examination. The KPPGCA will reveal the KMAT answer key/question paper solutions for all sets A, B, C, D. Candidates can download the attempted set and can compare with that to estimate the score by tallying with the answers given in it. Competitors can visit the official portal, kmatindia.com to download the answer key. KMAT Answer sheet release date, instructions to download and other details were mentioned in the following article. Karnataka Private Post Graduate Colleges Association (KPPGCA) annually organizes the Karnataka Management Aptitude Test (KMAT) examination. Aspirants who are competing to get admission in MBA/PGDM and other Management courses for the academic year 2018-19 have applied from 7th June to 25th July. The admission into MBA/PGDM and other management courses will be offered based on the rank and merit of aspirants. Aspirants who scored the best rank will be given admission in 161 plus AICTE approved colleges in the state of Karnataka and Bangalore. Candidates competed for the KMAT 2018 on 5th August can shortly get the question paper solutions for all sets A, B, C, D from the official website, kmatindia.com. Karnataka Management Aptitude Test answer key will be accessible to download in PDF format. By visiting the KMAT official portal candidates can get it easily. By filling up the required details (credentials) in the portal, candidates will be able to download the answer key. Keep visiting the KMAT official portal, kmatindia.com to download the answer key. Usually, the answer key will be uploaded within 3 to 4 days after the examination. Hence competitors are advised to stay patient until KPPGCA uploads the official answer keys. Go through the following steps to download KMAT solution paper. Compare your answers with the correct answers given in the answer key to estimating the score.